Thankful for the support. 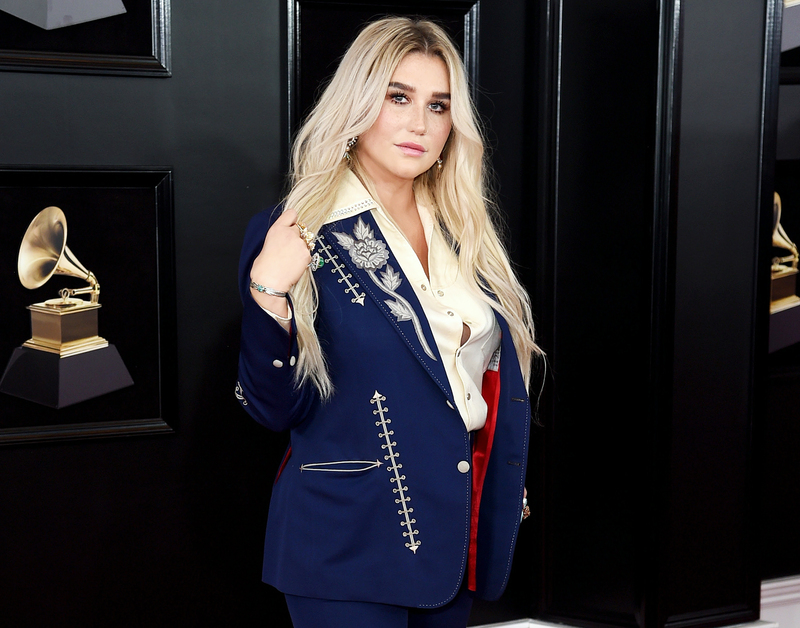 Kesha took to Instagram to thank the Recording Academy, the female singers who joined her on stage and everyone who supported her powerful performance at the 2018 Grammys on Sunday, January 28, in New York City. “after everything you’ve done I can thank you for how strong I have become,” the “Die Young” singer wrote, quoting lyrics from “Praying,” which was inspired by her alleged abuse with Dr. Luke. As previously reported, Kesha took the stage to perform “Praying” during Sunday’s show. The 30-year-old singer was joined by Camila Cabello, Andra Day, Cyndi Lauper, Julia Michaels, Bebe Rexha and the Resistance Revival Chorus, dressed in all-white. She filed a lawsuit against the music producer in 2014, claiming he was sexually, verbally and mentally abusive. Dr. Luke has denied all of Kesha’s claims, and she later dropped the suit to focus on her music. Stars like Emmy Rossum and Maria Shriver took to social media to react to Kesha’s performance. “All the women backing up my girl @KeshaRose makes me SO EMOTIONAL,” the Shameless star tweeted.